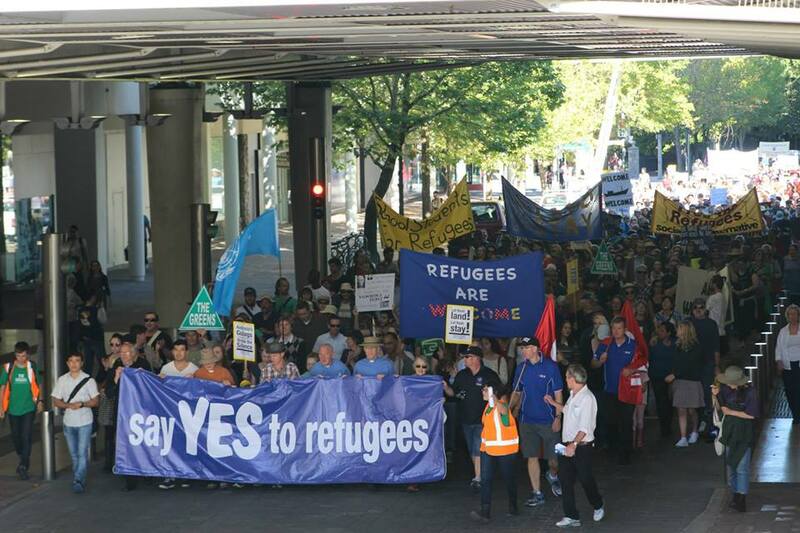 Thousands of people from Canberra and beyond are expected to converge on Civic Square at 1pm on Sunday April 9 for a demonstration supporting the rights of refugees in Australia’s offshore detention centres. The rally is being organised by the Canberra Refugee Action Committee, with the theme Welcome Refugees, Close the Camps! A vigil will be held in the 48 hours prior to the rally, starting at 1pm on Friday April 7 in Civic Square (in front of the ACT Legislative Assembly). There’ll be marquees and information boards for those wanting to learn more about the crisis and how they can help, and ongoing activities and entertainment including a festival of short topical films on the Friday night, and performances by local musicians and writers who support the cause on Saturday night. Of the refugee crisis, Dr Minns says, “We are the only country in the world where tax payers fund offshore detention centres to be run by private corporations. Many of the asylum seekers have been there for nearly 4 years, and they simply cannot return to their country of origin as they are genuine refugees and legitimately fear for their lives. The Australian government refuses to process their claim for asylum, and leaves them in terrible conditions where their health and mental wellbeing continues to suffer. “The proposed deal for the United States to accept some of our refugees is not a viable solution. There are too many ifs and buts. We have no idea how many they will take, and their new extreme vetting policies make progress very difficult. The rally is being supported by contingents from local church and faith groups, unions, university and high school students and teachers, and the LGBTI community. All contingents will meet at Petrie Plaza (next to the children’s roundabout) at 12:30pm on Sunday April 9, and march together towards Civic Square where the official demonstration begins at 1pm. For more information, please email mail@refugeeaction.org or visit their Facebook page.